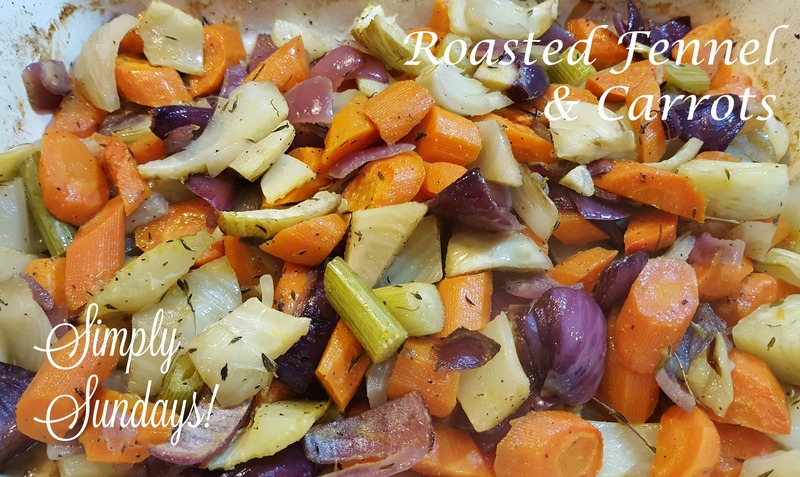 Roasted Fennel & Carrots – Simply Sundays! You may have noticed… roasted vegetables make an appearance on our dinner menus almost weekly! So versatile too! Sure they make a great side, but pair leftover roasted veggies with some quinoa or rice and you have a delicious and healthy lunch the next day! And there you have it! A healthy, delicious pan of Roasted Fennel & Carrots! I love roasted vegetables! And this combination of carrots and fennel is so delicious!! Thank you!